Description - Our Launch performance turf is engineered to mimic the look and feel of grass all year round, without the pesky maintenance. These short pile turf rolls require no infill and provide an ideal surface for indoor applications from putting greens to locker rooms. 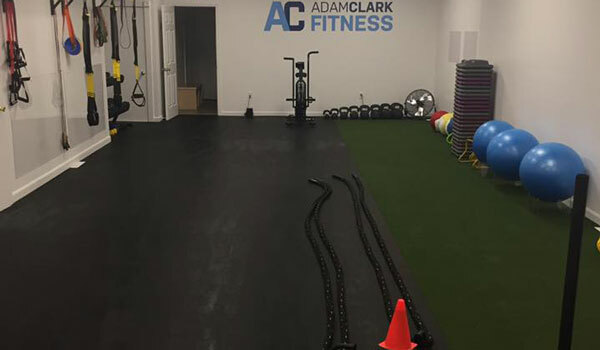 Your indoor turf will be backed with a foam cushion providing shock absorption and thermal insulation allowing it to perform in high traffic areas. The turf layer is made from a polypropylene fiber that provides a turf that is softer than nylon and highly UV stable. Backed by a 5 year warranty these turf rolls will provide a real grass for years to come. Material – Polypropylene fiber with a synthetic backing. 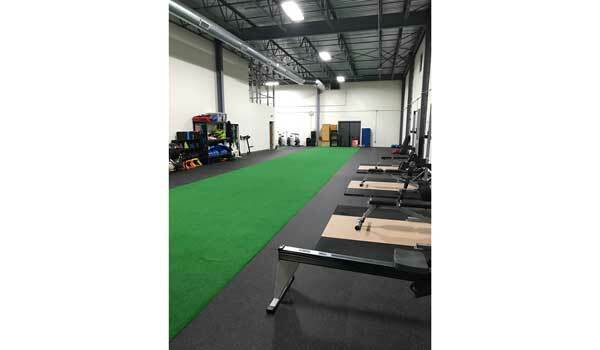 Recommended Uses – Our Launch turf has been used as flooring in batting cages, baseball dugouts, training facilities, locker rooms, as landscaping, for putting greens, in mini golf areas, Bocce courts, on roof top patios, on decks, and much more. No water or fertilizer needed. Can this product be used outside? How does it stand up to sun? Our Launch Turf Rolls can be used outdoors. These artificial grass rolls are made with polypropylene which is a UV stable fiber. This means this turf will not fade in direct sunlight. How do you clean sweat out of it? Can it be cleaned with a carper steamer? Can it be installed directly onto cement? And what do you attach it with? We recommend cleaning our Launch Turf Rolls with a solution of warm water and household detergent and either mopping the floor with it or hosing it down. These fake grass rolls can be installed over concrete and can be adhered to it using double-sided tape or adhesive. How does this turf work on a wood floor in the gym? We are wanting to install an indoor batting cage but want something to protect the floor. Our Launch Turf Rolls can be installed over plywood and would perform the same as it would over concrete or any other hard, flat surface. 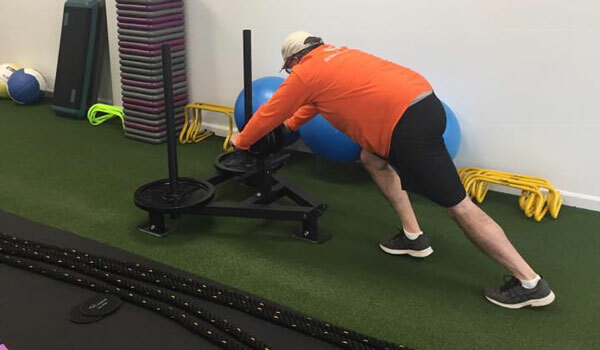 How does the Launch turf preform with heavy Prowler use? 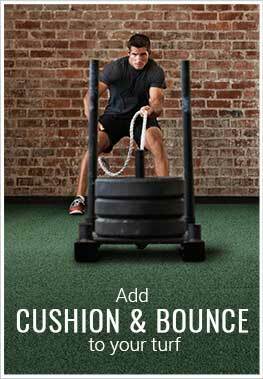 Our Launch Turf Rolls were designed with daily use of a sled in mind. Our Launch fiber is very durable and can be used indoors and out. How would this hold up to being rolled out when needed, and then being rolled back up when not used? I need something to roll out on a paved driveway for sled work. Thanks. You can easily roll up and out our Launch Turf Rolls. These rolls will not be ruined from doing this. Great customer service! 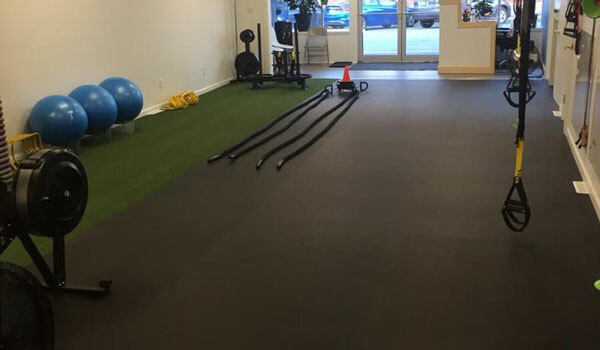 Was my first time purchasing rubber flooring and turf, but not my last from rubberflooringinc. They walked me through the whole process! I did a bunch of browsing and research, and these guys are the best! 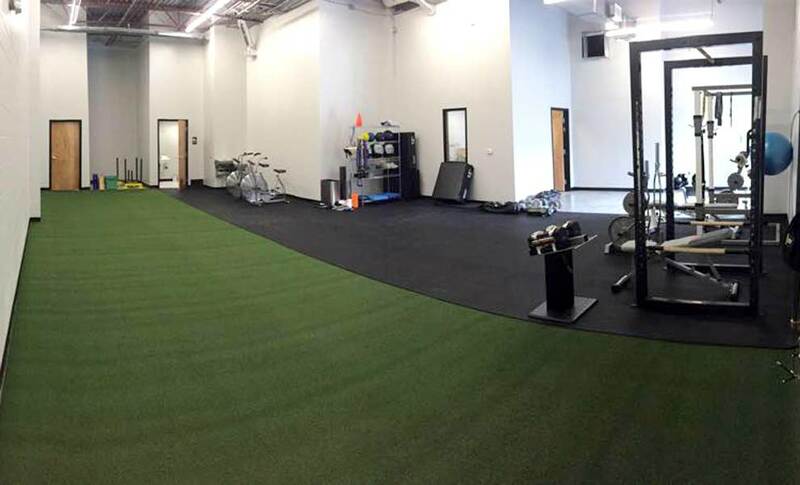 We have this turf in a specialty area of the gym and its definitely a fan favorite area.